NAMM is closing, there’s some things I might have overlooked but I don’t think so. Maybe it wasn’t awesome as hell but „nice“. the only thing I forgot about to mention is that Roland Cloud. 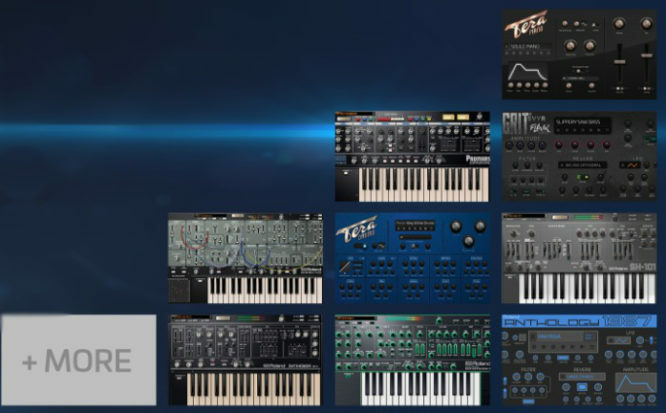 you may know, that I really really enjoy these synths, and there are at least 4 more – a D50 kind of sample player called anthology 1987, a piano and 2 more that were not explained much(Grit + Tera). to me it’s a lot too expensive – 30€ per month? Come on. I just left everything Adobe for that reason. and I really really love those Roland synths as long as they are available normally it’s just another offer – that’s ok. 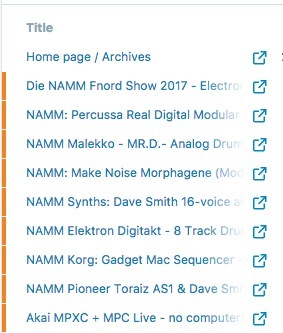 I posted quite a lot of NAMM stuff but it seems like you did not really appreciate it that much as last year when the Odyssey came out and a massive synth wall flooded the world – mostly analog. this time we had 2-3 synths – the DSI Rev 2, and surprisingly hardware groovebox synths from companies I really did not expect to make them like Malekko, Shear Electronics OB-X 6-voice synth, the soulsby synth is announced and the Paradigm that is based on completely new hardware design, the FPAA chip which is basically analog. that curcuit-button changes the OSC model from something digital to a minimoog-3-OSC model-to something polyphonic like a Juno with 8 OSCs etc. which is a real interesting concept. and: we have been waiting for samplers that have knobs and can be used and performed easily – we got’em. but they are in eurorack like the 4ms sampler, those from 1010music, tiptop, orthogonal devices (er301) etc. 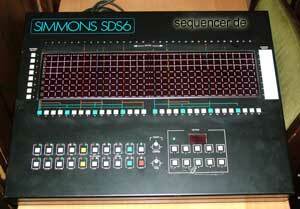 and stored on an SD card – maybe they do a hardware box for us with 4-8 voices for performing on stage? I’d like one of these. the most clicked one was my german report about pre-NAMM teasers, blurred images and things like video teasers with 2 bars of post-dubstep something. I don’t like that they still think of 64 steps is enough – and 1/32 as a resolution could suit everyone for any genre. not it doesn’t, there is still drones and chords you may want to play, evolving sounds to sound – say 16 bars and stuff like that. but it’s nice to see more live oriented things like polyend’s SEQ and MIDI-CV is getting a lot more CV/Gate outputs. I should have mentioned Intellijel (new modules), Erica Synths (new modules and little standalone box), the Buchla 100 by Audio Catalyst, the mentioned but not posted 0101music sampling touch screen module series (looks great, nice concept). as well. so let’s scroll down and watch their new stuff..
NAMM Korg: Gadget Mac Sequencer – MS20 white – Odyssey FS – etc. Soso – „it’s the details that this NAMMS focus is on – a lot of interesting modules and complete absence of 5unit-moog size modules (ok, that’s not counting in moog modular)“ ??? Da frage ich mich natürlich was auf den Ständen von Moon und STG im Gegensatz zu Moog zu sehen war ?